This is a sponsored post written by me on behalf of AVEENO®. If there’s anything that’s certain with motherhood, it’s the mess. From spilled baby food, to ice cream smiles, kids are … well … messy. 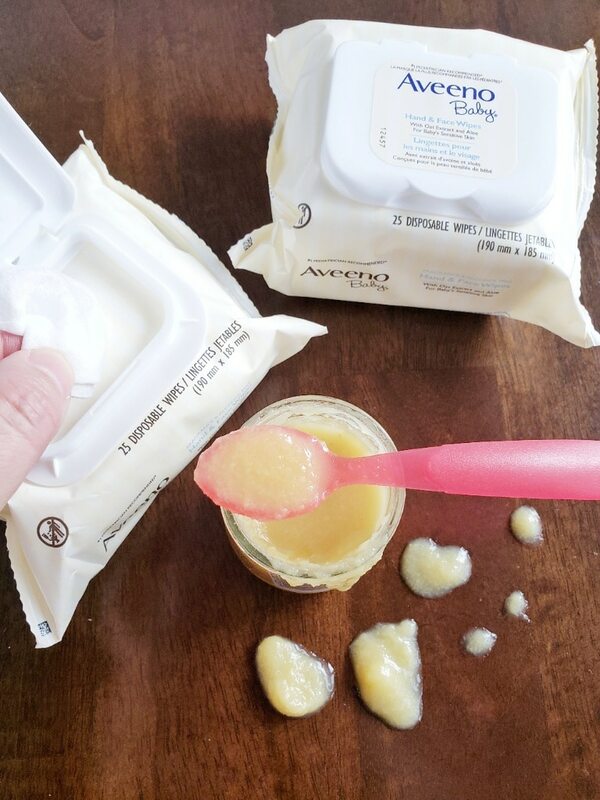 When I was a new mom, I learned pretty quickly that one of the most useful items in my parenting tool kit was the baby wipe. I’ve always trusted AVEENO® for our family and used AVEENO® BABY® Wash & Shampoo and AVEENO® BABY® Daily Lotion in our kids’ routine. 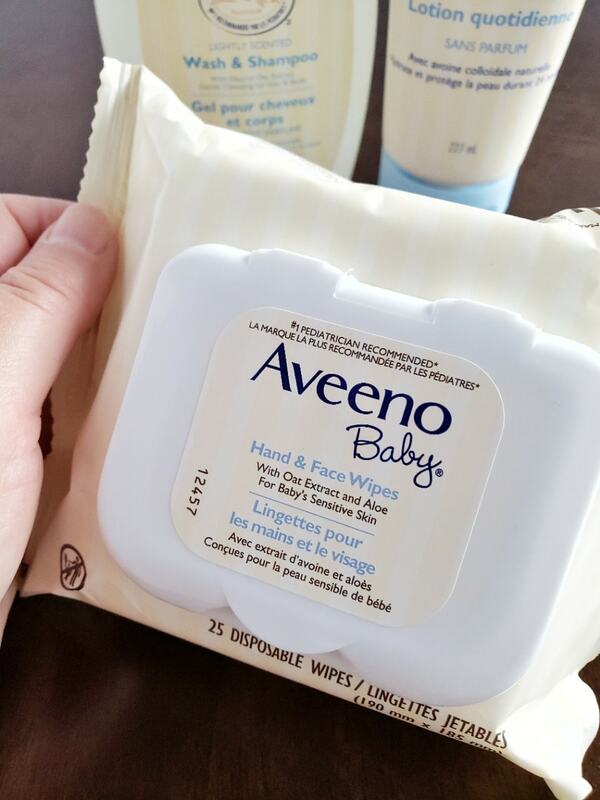 Now, AVEENO® has introduced new Baby Hand & Face Wipes, and I couldn’t be happier. They’re made specially for a baby’s sensitive skin, and leave baby feeling soft, clean and moisturized. 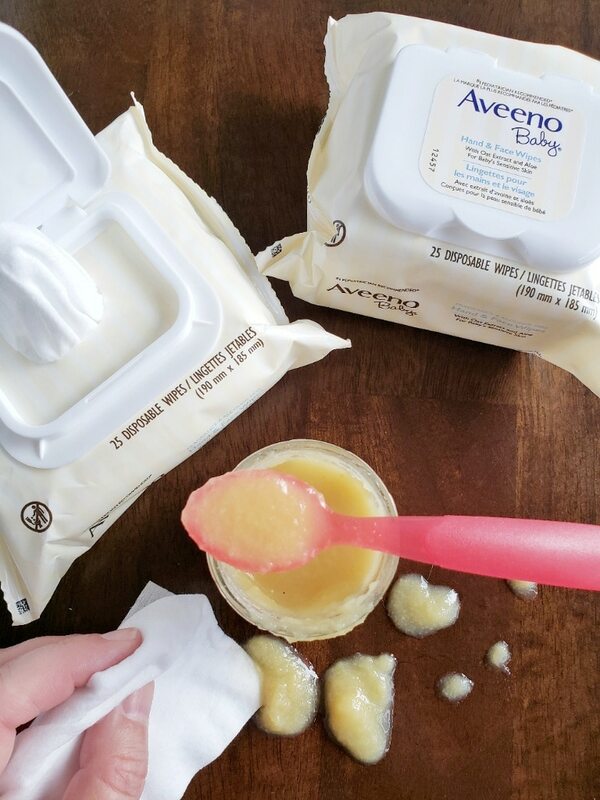 This is the first-ever baby wipe from AVEENO®, and it’s made with oat extract and aloe. So, not only will it clean up the most challenging baby messes, but it leaves you and baby soft and moisturized after. Feeding a baby is probably one of the messiest (and cutest!) things on the planet. You’re guaranteed to have food almost everywhere, including the table, the baby bib, high chair, your hair, and, if you’re lucky, in baby’s little tummy. It’s wonderful to have a wipe that’s so gentle on skin, but so effective at cleaning up feeding time messes! 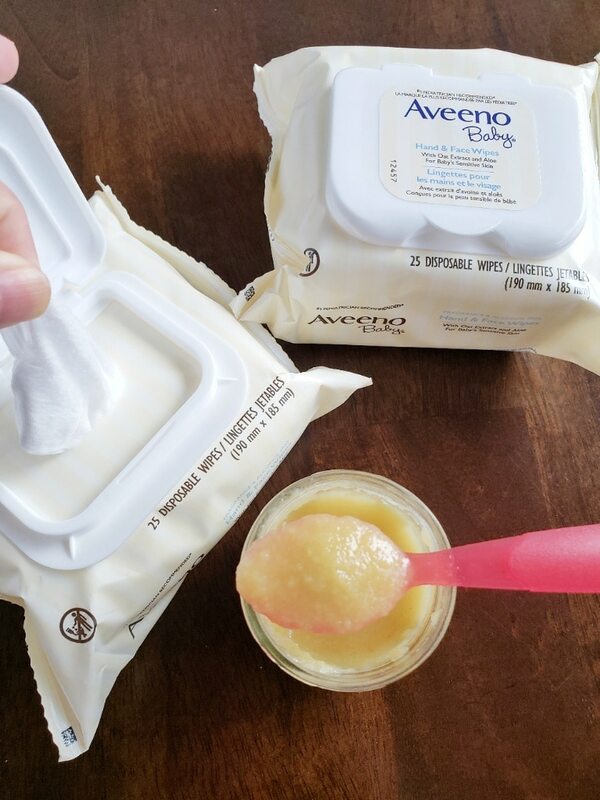 The new wipes from AVEENO® are made for sensitive skin and help nourish and restore balance to baby’s skin with oat extract and aloe. Oat extract is carefully extracted from the oat kernel, and soothes and gently nourishes delicate skin. Even better, they’re fragrance-free and alcohol-free, and gentle enough to use every day! 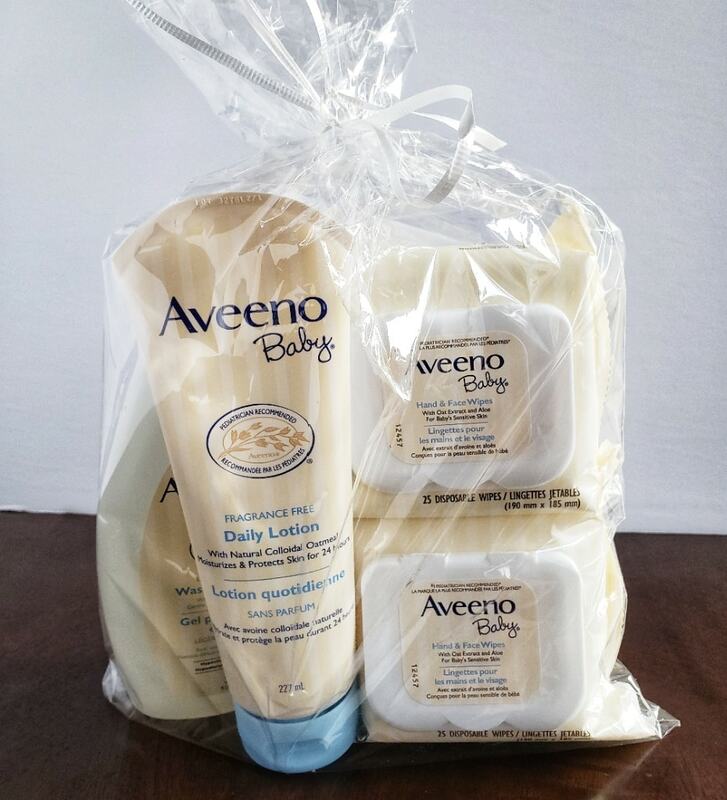 Find AVEENO on the AVEENO Canada website, and on Facebook, Instagram or YouTube. What’s your most challenging baby mess? Let us know in the comments below!